Cindy E. Levitz, L.Ac., Dipl OM, C.SMA has been in private practice in NYC since 1996. She specializes in treating all types of Acute and Chronic Pain, Stress and Anxiety Reduction and Women’s Health Issues. Facial Rejuvenation Acupuncture is also a specialty. Years ago, Cindy developed a debilitating inner ear problem which caused severe dizziness. Western medicine did not help, and she suffered with the problem for years. A Tai Chi friend referred her for acupuncture, which was amazingly helpful, and within 3 months relieved the severe attacks she was having! That personal experience was so magical and life changing that she decided to go back to school to become an acupuncturist. Cindy has an M.S. degree in Acupuncture and is a Licensed Acupuncturist in NYS. She is Nationally Certified by the NCCAOM as a Diplomate of Oriental Medicine (Dipl. OM), which reflects her post-graduate degree in Chinese herbal medicine and certification in Chinese medical massage for orthopedic conditions (Zheng Gu Tui Na). Cindy is one of a small number of Certified Sports Medicine Acupuncture Specialists (C.SMA). 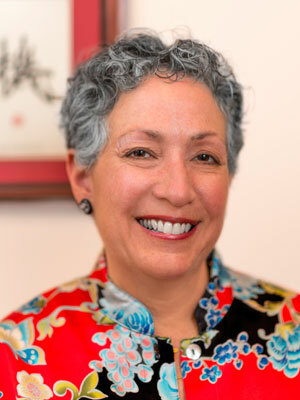 Through the years, Ms. Levitz has studied with such renowned masters in the field as Mark Seem, Kiiko Matsumoto, Richard Tan, Bob Flaws and Matt Callison. She has had the unique experience of visiting China with the “People to People” program to learn and exchange information with many doctors, acupuncturists and tui na specialists in the hospitals there. Cindy has been an artist all of her life and studied painting to earn her B.F.A. degree from Hunter College in 1985. She uniquely combines her creativity, intuition, experience and knowledge with her passion for helping people feel better and happier now and into the future. 1123 Broadway at 25th St.